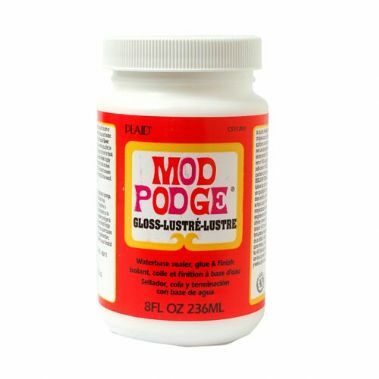 Mod Podge ® is an all in one decoupage glue, sealer and finish. 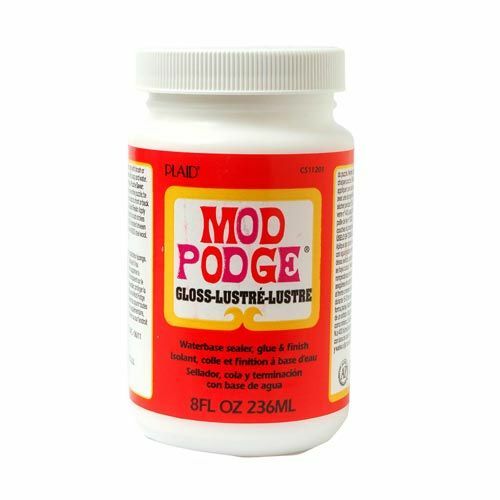 Mod Podge ® is quick-drying for multiple coat build up and dries clear. Can be sanded to a smooth finish. Cleans up easily while wet with soap and water. Certified AP non-toxic; waterbase.